We talk a lot about justified shootings here at USA Firearm Training. It is a major portion of our concealed carry podcast every single week. It is an unfortunate reality that many people are forced to defend themselves due to the nature of criminality in the world. However, it is still the reality and we must remain aware that the time may call when we may be called upon to act. And if you are one of those people who thinks that it may never happen to you, or that it might not happen today, ask yourself how many justified shooters thought that they were going to be forced to pull the trigger on the day they were forced to. How many more people would have been hurt or killed if the people stopping crime took a day off from carrying, or didn't have the training to act? 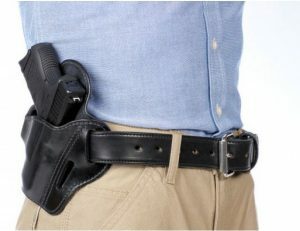 Well thanks to recent reports, we know how many people's lives were positively affected by the quick response of someone carrying a concealed weapon. 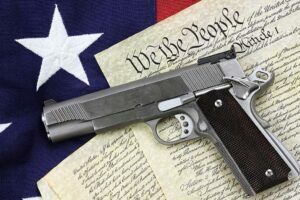 While the FBI does not keep track of justifiable homicides in their yearly reports of murders, in 2015 Senator Chris Murphy of Connecticut, a notable anti-gun senator released a report along with the Violence Policy Center, another anti-gun organization released findings from the FBI's overall homicide report that stated of the 8,342 homicides via firearms in the year 2012 259 of them or 3.1% were justifiable homicides. Meaning that the shooter killed a felon in the process of committing said felony. Now this was just one year. Since 2011 there have been 1,198 justifiable homicides by private citizens in the United States due to firearms and in that same period 43,932 homicides in total by firearm. So the average over 5 years is that 2.7% of all gun related homicides in this country are justified by private civilians. Now an average of 239 incidents per year where a justifiable homicide occurred may seem like an extremely low number in a country of 300,000,000 plus, but let's first take into account that these statistics are only for those cases in which a perpetrator was killed. The FBI does not release statistics regarding incidents of injuring a perp in self-defense or causing someone to flee due to brandishing a weapon or firing a warning shot. These issues, which happen much more frequently, if our multiple stories every week weren't enough of an indication are more likely what you would have to prepare for in self-defense. After all, if you are trained well enough the idea of ending someone's life should be the absolute last line you should have to cross. But even so, if you are one of the 239 per year that has to end a life to save another, you couldn't know when you started your day that it would happen. Just because a justifiable homicide is a rare statistic, doesn't mean that it doesn't happen. If 239 people had decided to not carry that day, or not be up to snuff with regard to training, we could have 239 or more innocent civilians dead and 239 criminals on the loose. That is just bare bones, mind you. If we had the full data for every incident in which a gun saved a civilian's life due to just being there, you would see that number rise immensely. So all in all, what should you take from this? I would hope that you looked at these numbers and saw that there is indeed a reason to carry every day and that people who do make a difference in this country. However, if that is not the case and you saw that these numbers were so rare that you should worry about getting struck by lightning more than ever having to use your weapon, I would say that no matter how rare these incidents do happen. What if it was you and your loved ones who were put into the position of the 239 every year. We don't know where these events occurred, so they can happen anywhere, and if they happen near you, even if it were incredibly rare, you still need to be prepared. Do you carry every day? Do you think that the numbers you just read make you feel like you don't need to carry? Let us know in the comments below. We would love to hear your views. One Response to Hundreds of Justified Shootings Every Year. Are You Prepared if Called Upon?